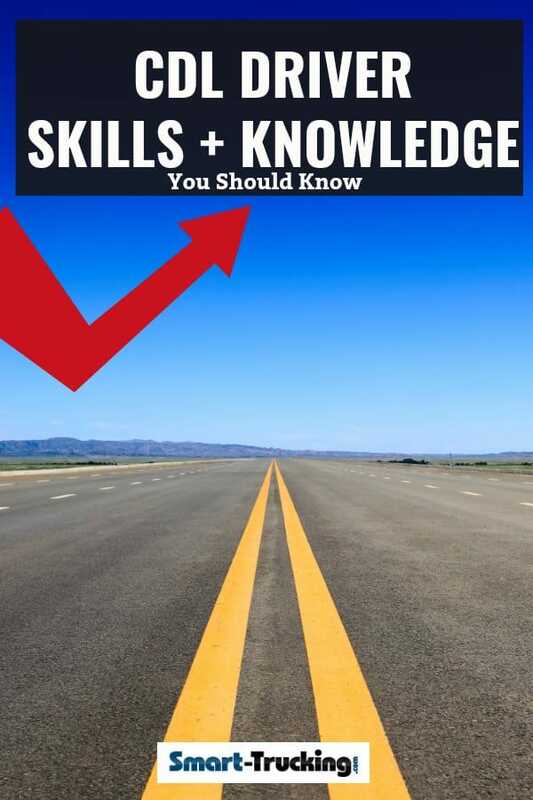 There’s a long list of important and essential truck driver skills that every professional truck driver should have. 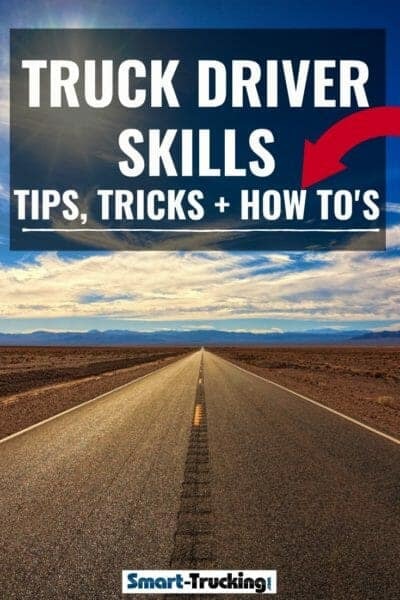 However, some truck driving training schools don’t cover some of the driving skills and techniques that a trucker will need in the real world in his trucking job. We’ve gathered together some useful tips and advice for professional drivers to help refresh their driving skills. REMEMBER — There are many schools of thought on how to perform particular maneuvers. If what you see or read on this website does not agree with the method you were taught at your truck driving school, ALWAYS FOLLOW THE WAY YOU WERE TRAINED in your driving school education program. How to Shift an 18 Speed Transmission— Video and instructional steps for driving a truck. How to Double Clutch – Learn the proper technique for clutching. Floating Gears – How to float gears (shifting without using the clutch). Using the Jake Brake – How to use the jake brake, tips and tricks for best performance. Critical Tips Mountain Driving Tips For Truck Drivers – Best practices when driving in the mountains. Moving the Fifth Wheel – How to slide the fifth wheel on a big truck. Setting Up For a Loading Dock – Tips for setting up your truck to back into a loading dock. Scaling a Tandem Axle Trailer – The simple steps for scaling a truck & trailer unit. How to Pin Up to a Trailer – Tips and reminders for hooking up to a trailer. How to Set Up Axle Weights – How to set up your axle weights to be legal. Winter Driving– Part 1 – Trucker tips for safe winter driving. Driving in the Winter – Part 2 More tips for keeping the rubber side down. On the Road Safety – General safety tips all drivers should know and use. The Pre-Trip Inspection – An overview of a pre-trip inspection and easy to follow steps. Backing up – Easy to follow steps for successfully backing up a tractor trailer. How to Chain Up – Steps to installing tire chains on a big rig. 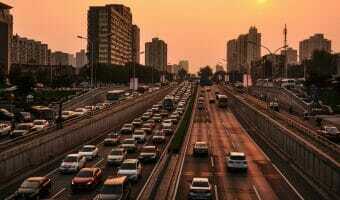 Using Cruise Control– Best use of cruise control. 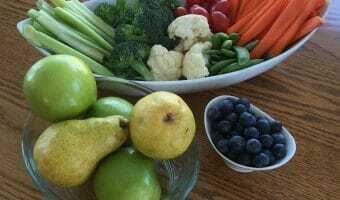 What to Do BEFORE You Hit the Road – Steps to follow before hitting the road. Sure Fire Ways to Prevent Accidents – Some tried and true advice for accident prevention. Getting Your Truck Unstuck – Tips and tricks for getting a big truck, unstuck. Back Up With Ease Using The Spinner Knob — – A neat, device for easier maneuvering. Tips to Remember When Taking a Corner – Safety tips to avoid flipping your truck when negotiating a corner. 3 Ways to Avoid a Skid – 3 tried and true ways to help avoid a skid situation. How to Negotiate a Right Hand Turn – Where you need to be when you go around a corner. Learn from this experience. 9 Critical Things All Truckers Should Know About Tailgating — Know the importance of keeping a safe following distance. 7 Accident Prevention Tips For Truckers That REALLY Work — Easy to implement, yet effective preventable accident tips. How to Handle a DOT Inspection – What to do & what not to do during a DOT inspection. The Deadly Dangers of a Trucking Job — Know the things to beware at all times as a trucker. 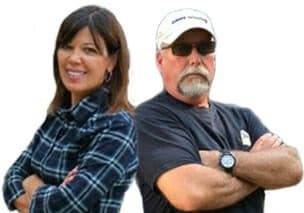 Tips For Planning Your Trips – Planning is a must for all truckers. Saves time, money and stress. How to Handle High Safety Risk Deliveries – Staying safe in unknown areas. How to Handle Your Dispatcher – Tips to work well with your dispatcher. How to Climb & Descend a Slippery Grade – Learn the tricks to climbing a slippery hill, without loosing traction. 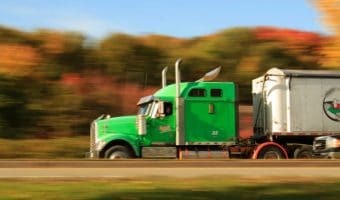 What All Truckers Need to Know About Diesel Fuel Weight – Important information about diesel fuel weights useful for scaling a truck. 7 Things Most Truckers Don’t Know About a DOT CSA Inspection –A few tips to be aware of for an inspection. What to Do When Your Truck Breaks Down – Staying safe and using your head is the key. The Importance of Keeping Your Eyes on the Road – What a professional driver needs to watch when behind the wheel. Tips For Dropping a Loaded Trailer – Safety precautions to follow when dropping a trailer. 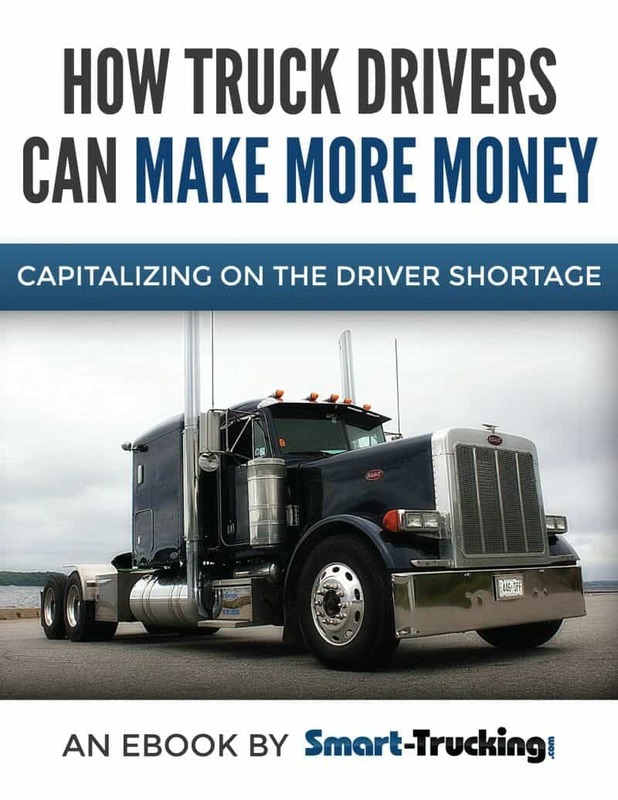 Things Every Trucker Should Know About Lumpers – What all drivers need to know about this industry scam. The Dangers of the Overconfident Truck Driver – Beware of the mind set, ‘nothing can go wrong’. Smart Safety Tips to Follow When Opening Trailer Doors – Tips for avoiding injury when opening doors of trailer. Tips For Idling the Truck – Safety tips for times when it’s necessary to idle the truck engine. 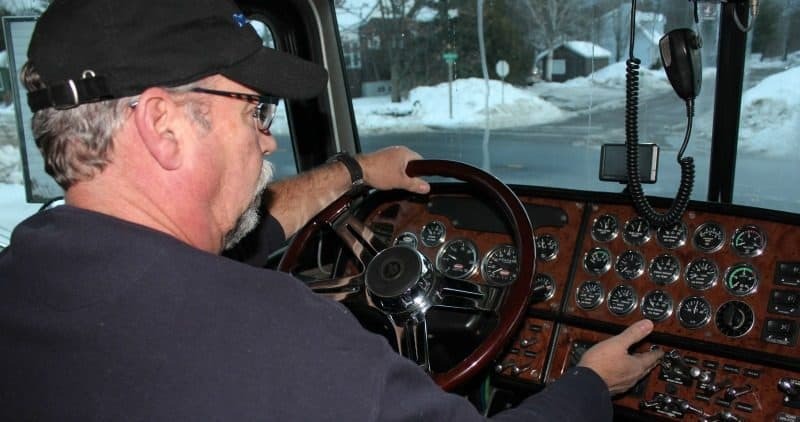 5 Things Professional Truck Drivers Should Never Do – Be a professional and follow these rules. 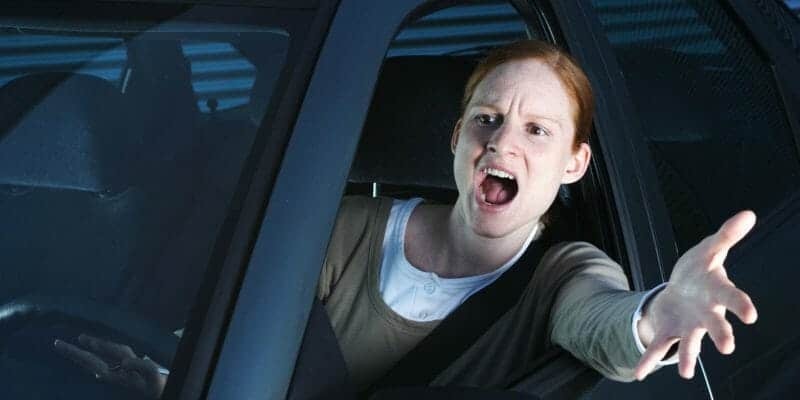 What You Every Professional Driver Must Know About the D.A.C. Report – Learn about the D.A.C. report and how to manage it.